బిఎండబ్ల్యూ 7 సిరీస్ 3 వేర్వేరు రంగులలో అందుబాటులో ఉంది - Mineral White, Imperial Blue Brillant Effect, Black Sapphire. I love design and comfortability. When I see this model of BMW I was astonished. It's an amazing car which I see in my life. Dream Car to Reach Your Destination. Awesome family car. Love to have it. Fantastic comfort zone. What to say more,words are not enough to describe. Speechless. BMW 7 series is a very good car. Engine performance is great. The design is awesome. 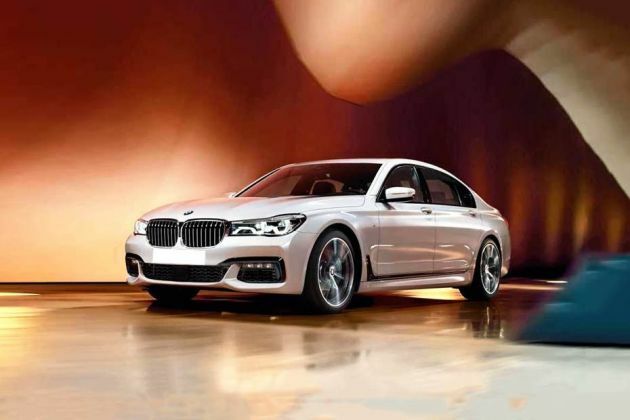 BMW 7 Series is a perfect sedan. Luxurious look, exterior and interior are awesome. Majestic look. Luxury interior great dynamic driver-oriented car. BMW 7 Series is a very good sporty and luxurious car but its very hard to park especially in town areas. BMW 7 Series is a wonderful car and there is no other car like this. Overall a superb car. My special thanks to online portals for my satisfaction. BMW 7 Series is a super luxurious and comfortable car and first and foremost it's my dream car. బిఎండబ్ల్యూ 7-సిరీస్ ప్రవేశస్థాయి వేరియంట్స్ 2.0 లీటర్ టర్బోచార్జ్డ్ పెట్రోల్ పవర్ప్లాంట్లు కలిగి ఉండబోతోంది.